Some people consider hot plates to have a limited application due to how small and seemingly inconspicuous they are, and yet they’ve experienced quite a rise in popularity in recent years. The main reason for their widespread availability seems to be their great convenience and practical nature, which many people have wisened up to. For the most part, hot plates are fairly broad in their usage, especially modern versions that can be adjusted to the smallest degree for a specific type of cooking. Although they seem rather slow as far as their cooking speed goes, the good ones definitely make up for this through a greater adjustability and general convenience. With that in mind, let us take a look at the ten best hot plates the market has to offer at this point in time. 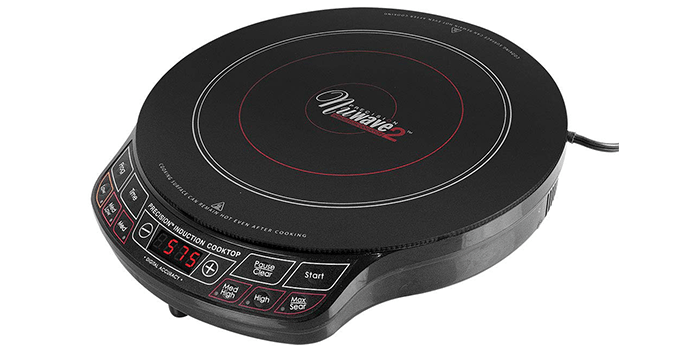 This maneuverable and inexpensive hot plate is designed to work with all types of cookware with no restrictions whatsoever. You can use it to cook a conveniently wide range of foods like grilled meat, sauces, eggs, sou, pasta, vegetables, and pretty much anything else. Safe and durable, this hot plate features a safety shut-off feature and a thermostat-regulated temperature that enables you to always employ the right heat for your cooking needs. Thanks to its highly advanced induction technology, this hot plate can heat up dishes more consistently than pretty much any other hot plate out there. Although it isn’t exactly cheap, the sheer array of functions it features makes it worth it. For instance, it features 8 settings on the left burner, including individual 150-minute timers and programmable heat settings that you can choose from to personalize your cooking. 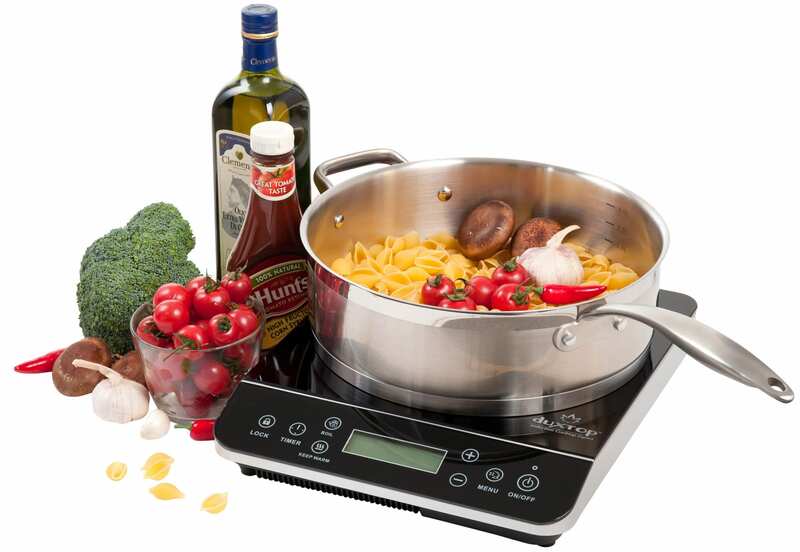 If you are looking for a hot plate that heats up fast, then look no farther than Ovente’s Countertop Cooktop. This practical device is surprisingly compact given its capabilities and weighs just 5.2 lbs, which makes it perfect for households with limited kitchen space. Interestingly enough, it heats up rather fast thanks to its 1,700-Watt electric heating unit, a potency that makes it rather versatile when it comes to cooking a variety of dishes. 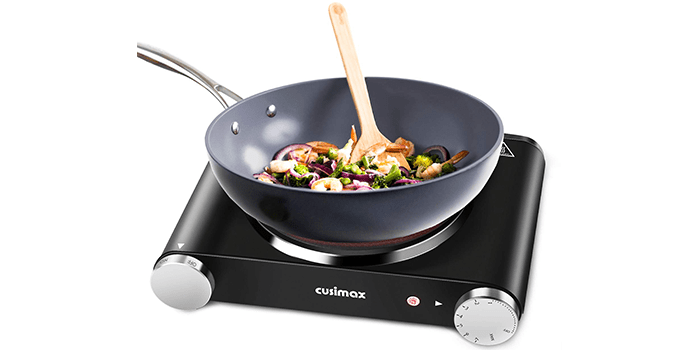 The first thing we need to point out about the Cusimax 1800W Double Hot Plate is its capacity to work with virtually any type of cookware. As such, it is compatible with pots and pans of any size, just as long as they don’t exceed 7.4 & 6.1 inches. What’s interesting is that it also works with glass and aluminum cookware with minimal heat loss. 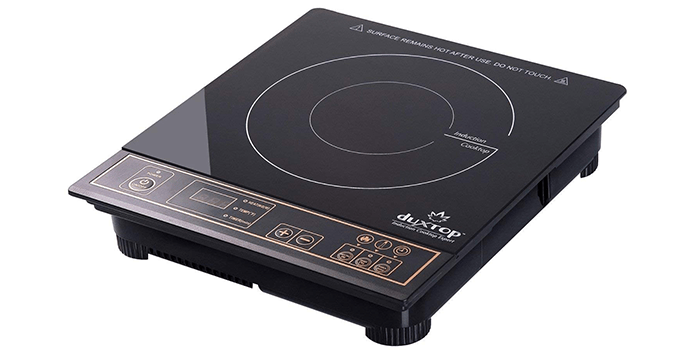 Furthermore, its two burners offer a practicality few hot plates offer, which when paired with an automatic shut-off function, make this particular cooktop one of the best in this price range. Few hot plates can rival Chefman’s Electric Warming Tray when it comes to its food-warming capabilities. We say that because it is large enough to fit several dishes at once and looks rather good on any type of countertop, table, or buffet. At the same time, its adjustable temperature control and size make it suitable for all household needs, even for large families. It also needs to be said that it benefits from conveniently adjustable temperature settings, a ton of safety features, and the freedom to use any type of cookware including aluminum or glass baking pans. Equipped with a digital LCD sensor-touch control panel, this particular cooktop stands out among hot plates for its futuristic outlook. As you would expect from such an advanced device, it also features a host of protective features including a child safety lock system and an auto-pan detection feature intended to shut the unit off automatically if the incorrect cookware is detected. Not just that but it is also equipped with a diagnostic error message system and a low & high voltage warning feature for good measure. This is widely considered one of the best budget hot plates on the market, one that is both easy to maneuver and easy to clean. Equipped with adjustable temperature controls with off, warm, low, med, and high settings to choose from, it can be used to cook a variety of dishes in as little time as its 1,000-Watt potency allows. At the same time, this device comes equipped with a cool-touch base and non-skid rubber feet for stable cooking. 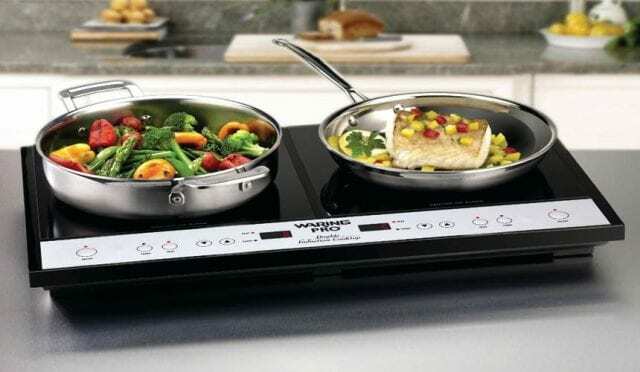 With this advanced induction cooktop, you get a magnetic cookware, induction-capable device that uses a fairly advanced heating method to get the job required of it. In this respect, it features no less than 6 different pre-programmed temperature settings to choose from, a versatility that allows you to cook at 52 different temperatures in 10-degree increments. Not just that but the NuWave PIC is also equipped with programmable stage cooking functions with no less than 100 hours of programmable memory to exploit. Providing you with no less than 15 power levels to choose from within the 200-1,800 W range, this ingenious yet inexpensive hot plate from Secura stands out as one of the best out there. It is equipped with a digital control panel and a built-in countdown digital timer operating on 1-minute increments up to 170 minutes. It also features a diagnostic error message system along with a low & high voltage warning system to prevent any unwanted accidents. 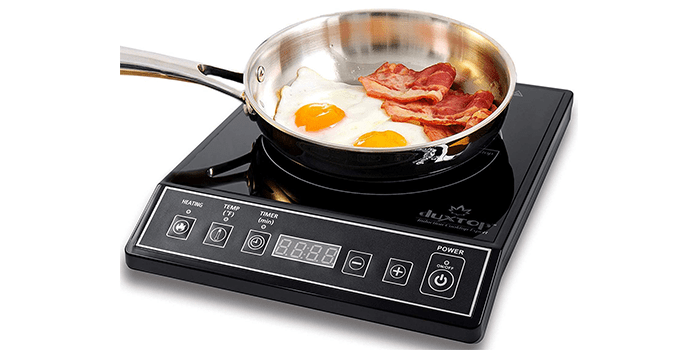 This is without a doubt, one of the most popular hot plates the market has to offer right now. This inexpensive unit is extremely light in weight and compact in size, yet powerful enough to cook any dish using a wide variety of cookware. It features a digital control panel to help operate it easier, a fairly user-friendly function that more and more hot plates/cooktops are beginning to incorporate nowadays. We should also point out that it is entirely compatible with cast aluminum enameled cookware both iron and steel or stainless steel cookware with a magnetic bottom. Overall, it is perhaps one of the best hot plates money can buy.